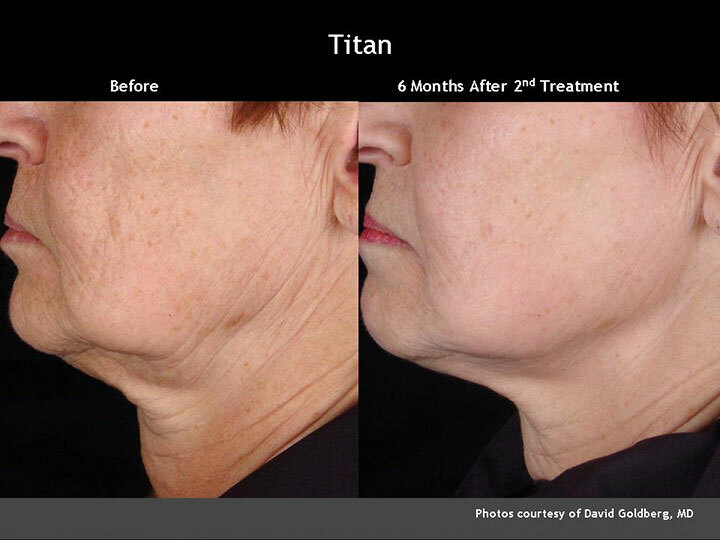 What is the CUTERA® Titan Skin Tightening Treatment? 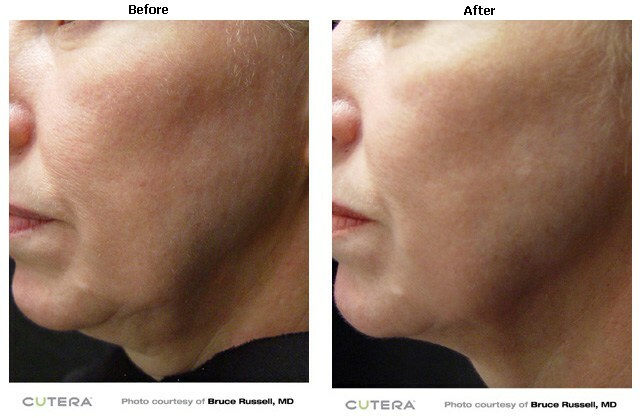 CUTERA® Titan is a laser facelift technology that uses a unique light source to stimulate collagen growth and tighten facial laxity by creating a deep dermal heating in your skin while keeping the surface, epidermal layer of your skin cool and protected. The result is firmer, tighter skin for your face, submental area, neck and abdomen–all using a non-invasive procedure that does not require anesthesia. How Does CUTERA® Titan Skin Tightening Work? CUTERA® Titan tightens the skin using an infrared light to heat the dermis below your skin’s surface. 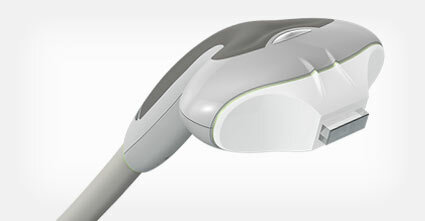 Due to its unique broadband spectrum of 1100nm to 1800nm, CUTERA® Titan is able to evenly heat the dermis to produce volumetric heating, forcing the collagen under your skin to contract and thicken and causing micro-injuries that trigger the dermis to repair itself with new collagen. Together, these effects tighten your skin to give you an all-natural, noticeably younger appearance. Q: What does a CUTERA® Titan Skin Tightening treatment feel like? A: With each pulse of the CUTERA® Titan laser, you will feel a cool then brief heating sensation followed by another cool burst. All patients find the treatment comfortable enough and do not require any pain relief medication. Q: How many CUTERA® Titan Skin Tightening treatments will I need? A: Since every patient is unique, we create customized regimens to suit each individual’s needs. But most regimens require between one to two treatments. Q: When will I notice the results from my CUTERA® Titan Skin Tightening treatment? A: Some patients see immediate results. But typically, you will see improvements within two to six weeks of treatment, with results lasting for several months. Q: Is the CUTERA® Titan Skin Tightening treatment safe and effective for tanned skin? A: Yes, the CUTERA® Titan Skin Tightening treatment can be used on all skin types, even tanned skin.